Every girl needs a compact, this one will show off your feminine side. A lovely realistic rose design. 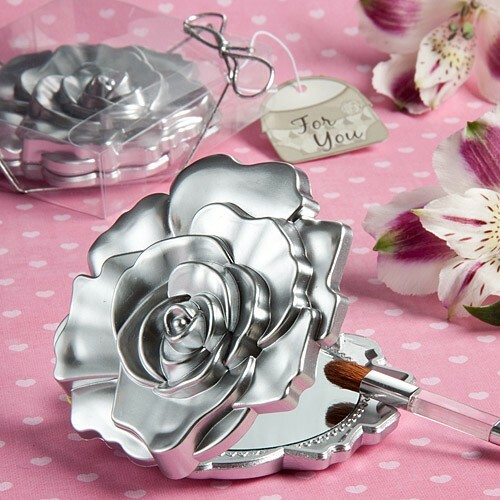 A beautiful favor for bridal showers, for teens parties too! Opens at a side hinge to reveal a dual glass mirror interior with one regular mirror and one magnified.